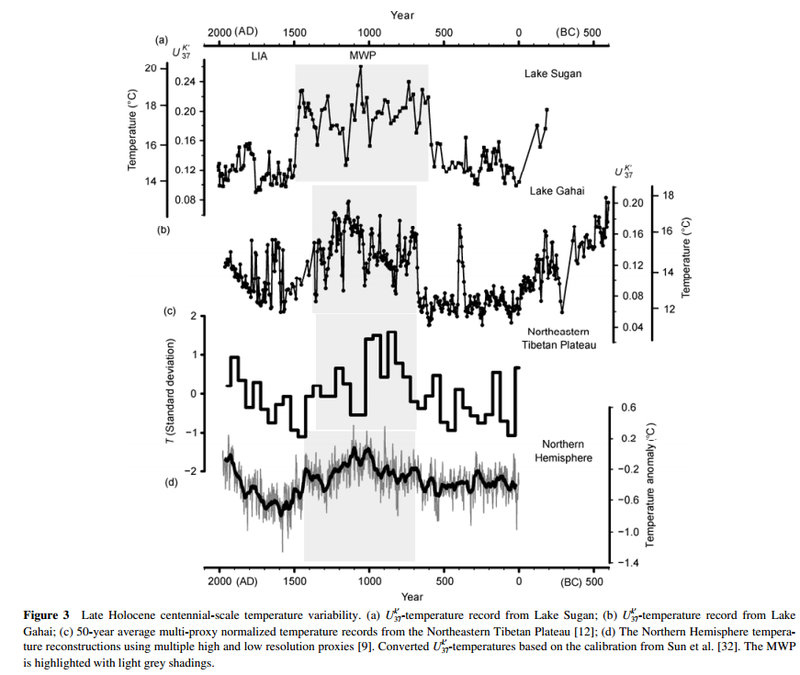 A paper published in 2013 reconstructs temperatures of the Tibetan Plateau over the past 2,500 years and finds "temperatures during the Medieval Warm Period were slightly higher than the modern period in this region. Further, our temperature reconstructions...can be well correlated with solar irradiance changes, suggesting a possible link between solar forcing and natural climate variability, at least on the northern Tibetan Plateau." Solar activity reconstruction on top graph correlates with temperature reconstruction on bottom graph. Note the year 2000 at at the left side of this graph. 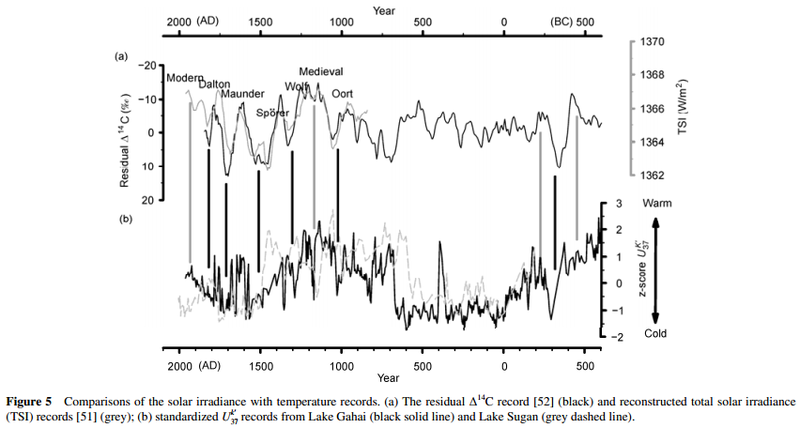 Multiple reconstructions show the Medieval Warm Period was warmer than the end of the 20th century.